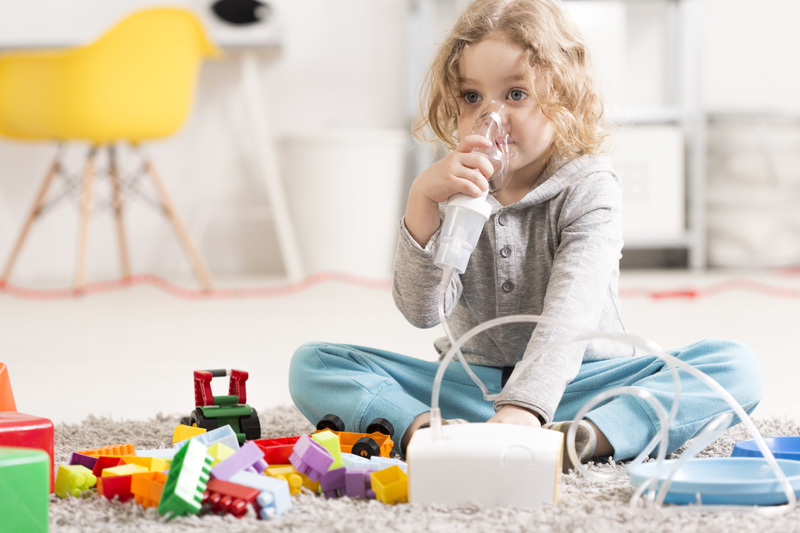 Believe it or not, carpeting is one of the biggest contributors to indoor air pollution. 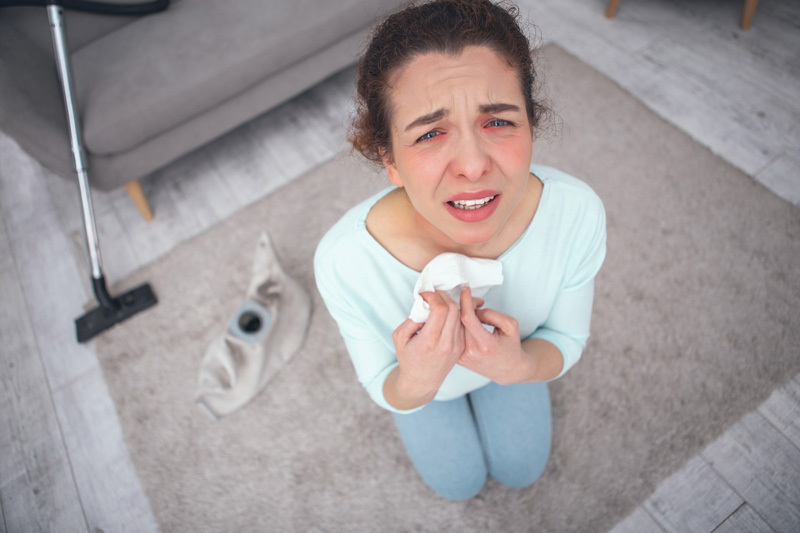 One of the most common health problems in a house is allergies, and carpets are practically a perfect environment for dust mites, molds and mildew. Why Does Carpet Attract Allergies? Not only that, but the modern wall-to wall carpeting in today’s houses are made of synthetic fibers dyed and treated with chemicals (fungicides, soil repellants and pesticides, anyone?). They are also bonded to synthetic backing with chemical glues. All of these materials release hundreds of Volatile Organic Compounds as they age, in a process called outgassing. Volatile Organic Compounds (VOCs) can be mutagens, irritants and carcinogens. Not the ideal thing to have in your home, to say the least. Carpet also attracts and retains all that you and your family members track in to the house from the ground outside: dirt, lead dust found in flaking house exterior paint, insects, bacteria, lawn and garden chemicals, and other unhealthy debris. Not to mention food crumbs, hair and dead skin particles. Can You Get a Wall-to-Wall Carpet Clean? 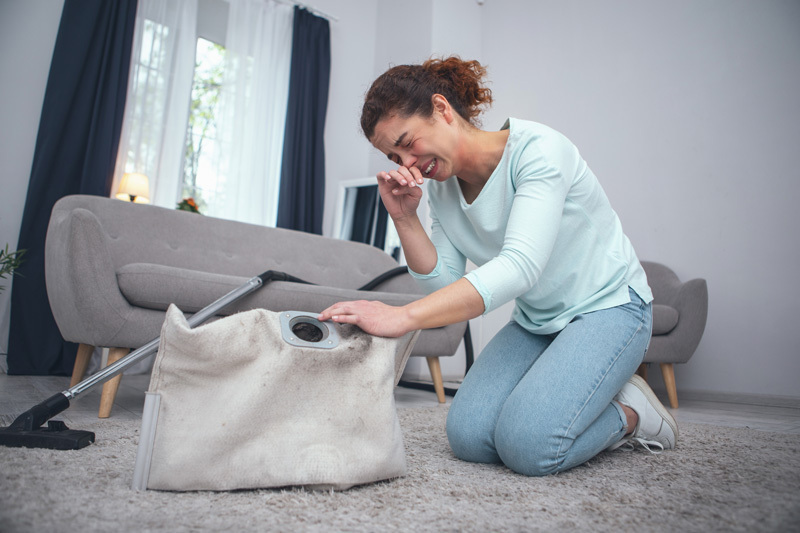 Getting a wall-to-wall carpet 100% clean is nearly impossible: have you ever rented one of those steam-cleaners to clean your carpet and cleaned the same area over and over, each time seeing more dirt come out? Then trying to clean it just causes its own problems. Vacuuming stirs up airborne dust and mold spores. Shampooing can leave a damp carpet encouraging more mold growth and even the shampoo may have irritating, or even toxic chemicals added. Ceramic tile is bonded to the base flooring using low-toxicity thin set mortar, and can be grouted with home-made, additive-free grout. Two parts dry, clean sand mixed with one=part Portland cement can be prepared and added to water to form a slow, damp curing grout. Although a ceramic tile floor can be expensive up front, due to the labor-intensive installation, they are very durable and long-lasting if properly maintained. As a result, they can be considered as comparatively affordable in the long run.